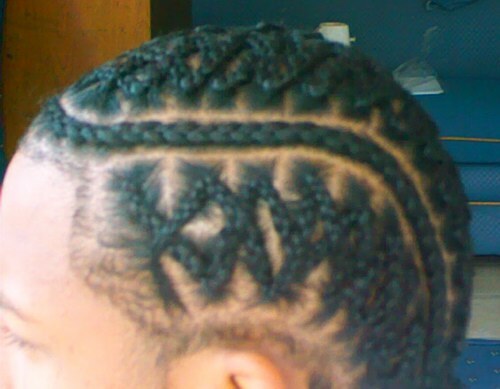 Cornrow braids hairstyles can be worn by men and women alike. 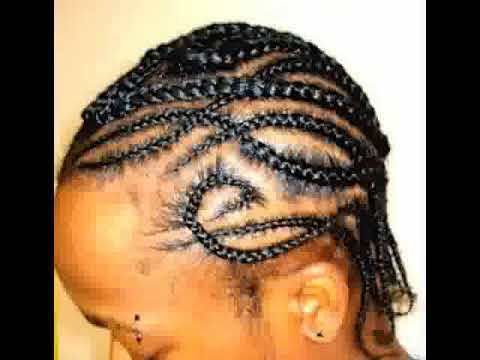 Cornrows are braids that are braided directly onto the scalp in a design that is described by the costumer to the hairstylist. 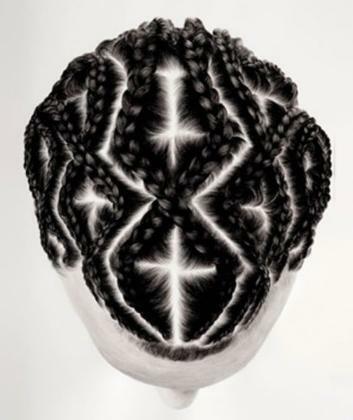 They are traditionally straight back in design and they tend look as though they are woven onto the scalp. These braids hairstyles can have extensions installed creating a more dramatic look or simply done with your own true hair. 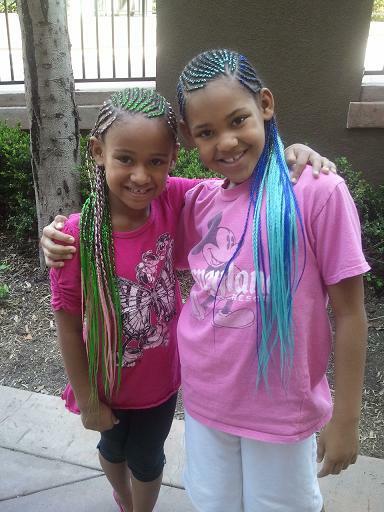 It is up the individual what they desire in the braids hairstyles. More so men tend to wear cornrows then that of women because of it simplistic natural. Since this is a style you do not have to add extensions you can recreate this style over and over again at minimum cost. Typical extensions are worn for a two to three week period and then unbraided and the style taken out. The hair is then washed, conditioned, blown dry straight and re-braided again. Cornrows seem to mostly be worn by women in the summer and spring months. 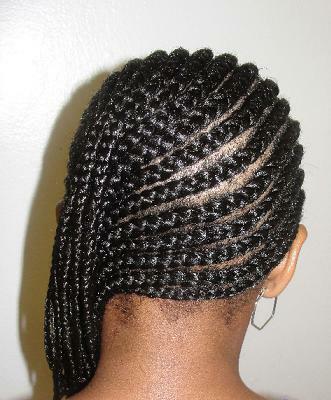 In comparison to other braided hairstyles, cornrows allow more airflow to the scalp area. So this braiding hairstyle can be a great way to beat the heat in the hot summer time. Yet, this increased air flow is not a need or want in the winter months. So you will only see a few women with this hairstyle when it is cold outside. If you are utilizing the cornrow method to grow out your hair, there are some things you need to know first. 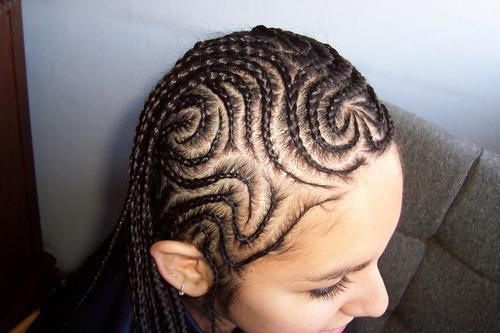 One is the fact that cornrows are not meant to be worn for more than three weeks. If you do somehow make it to week four even if your cornrows look neat, you need to take them out and re do your cornrow braids hairstyles. 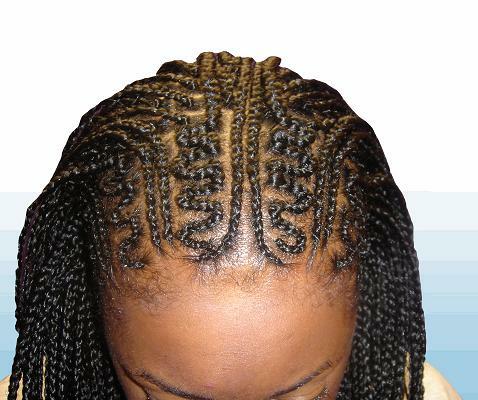 Leaving in the style to look can cause breakage throughout the hair wear the cornrow is exposed on the top layer. The hair needs to stay moisturized in order to retain and grow hair. So make sure you are spraying on some kind of leave in every two to three days. In addition oil your scalp with extra virgin olive oil, exra virgin coconut oil, or 100% jojoba oil every three to four days or as hair needs it.